About.com reports on the 10 Most Controversial Bikes of 2009. 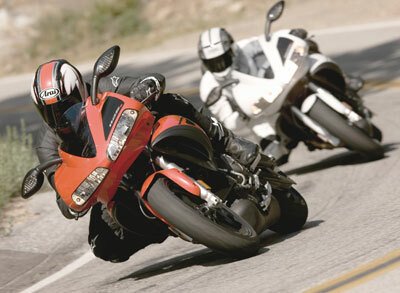 2009 was the year when Honda ventured entered the world of choppers and Buell Motorcycles left the business. Electric motorcycles went from a futuristic concept on the drawing board to having their own races. Among the bikes featured in the About.com story are is Buell 1125R, the winner of the AMA Sportbike championship (not everyone was happy about that). The Honda Fury was not your typical chopper, yet it is described as a reliable, well-priced custom alternative. The CORE is a concept motorcycle designed and built by the Victory Motorcycles Industrial Design team to show what a performance cruiser of the future could look like. It consists of only the essentials: engine, frame, wheels and front suspension - no rear suspension. Do you have a pick for a controversial motorcycle of 2009? Leave a comment and tell us! wow really awesome list by about. Thanks for this.